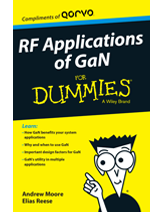 Gallium nitride (GaN) technology continues to evolve, pushing the limits of what’s possible with ever-increasing power density, reliability and gain in a reduced size. 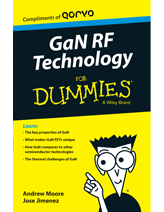 No longer a technology just for defense/aerospace applications, GaN is enabling higher and higher frequencies in more complex applications, such as phased arrays, radar, base transceiver stations for 5G, cable TV (CATV), VSAT and defense communications. 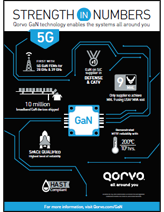 With 20+ years of research and innovation leadership in GaN, Qorvo’s GaN-on-SiC RF technology continues to bring the highest performance and reliability in support of our customers’ requirements. And through our ongoing foundry partnership with DARPA WBGS Phase II and III and other research labs, we help enable where GaN can go in the future. With more than 30 years of expertise in GaAs and GaN, Qorvo has completed more than 1,000 MMIC designs. From space technology to defense to wireless and CATV, our designs range from near-DC through W-band. Qorvo provides proven, record-setting GaN circuit reliability and compact, high-efficiency products. 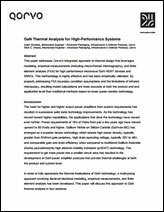 This paves the way for more robust performance, lower operating costs and longer operational lifetimes. 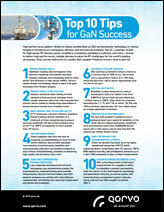 We're so confident in our GaN expertise that we recommend these ten questions to make sure you're choosing the right GaN supplier for you. 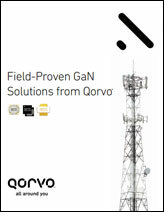 Qorvo's GaN products and technology enable the systems all around you that keep you connected and protected.